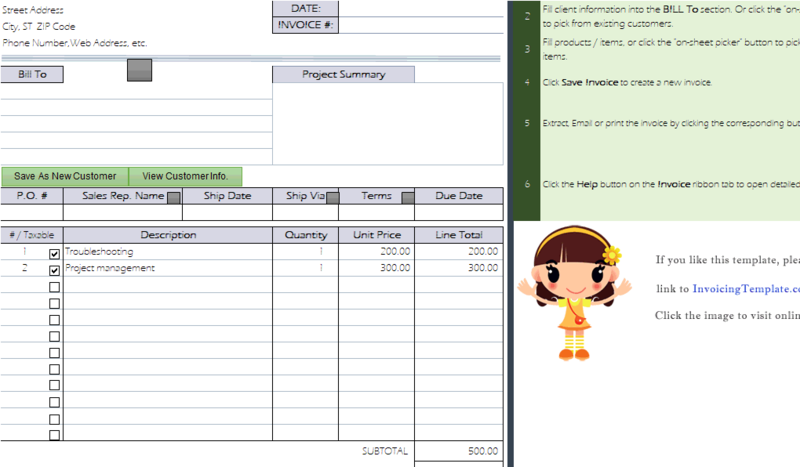 c5132 now includes the customized invoice template for the latest version of Invoice Manager for Excel. This is what you will see when you open logo-design.xlsx. A logo is an easy and important way to express business brand, trademark and emblem. As a designer you provide creative works to your clients. 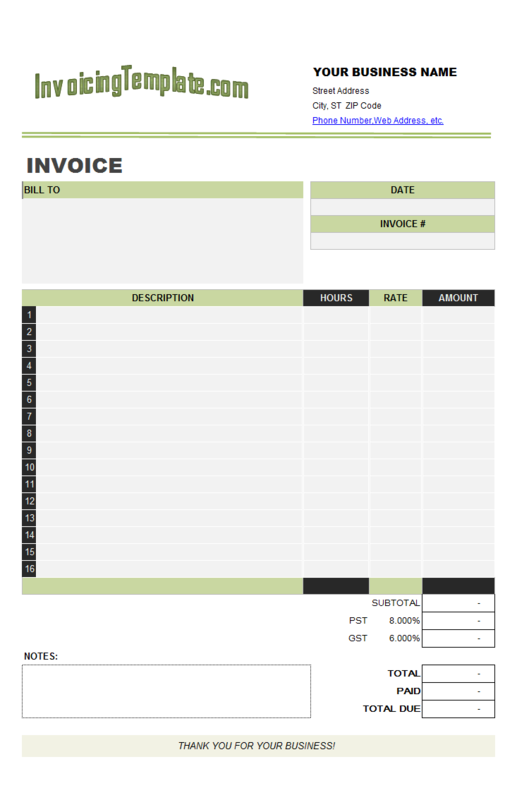 An absorbing invoice is a good way to express that you are not one of the general designers and you're care about every detail about your business. 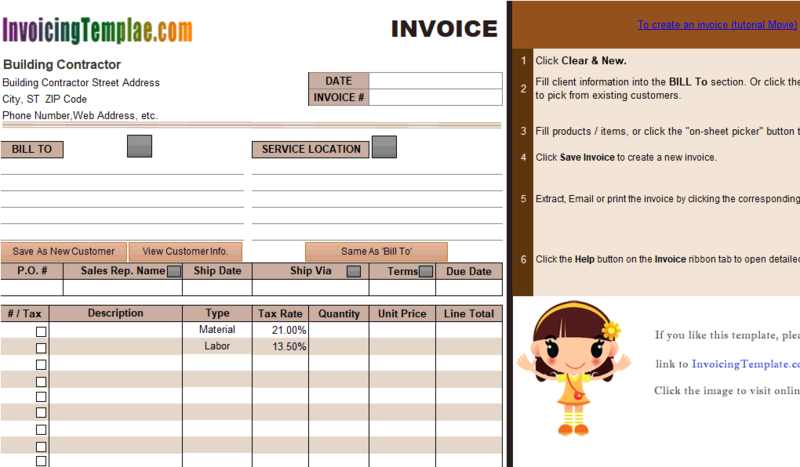 This sample in Excel spreadsheet format could give you some creative invoice ideas. You can use it directly, or use it as a starting point of design your own layout. 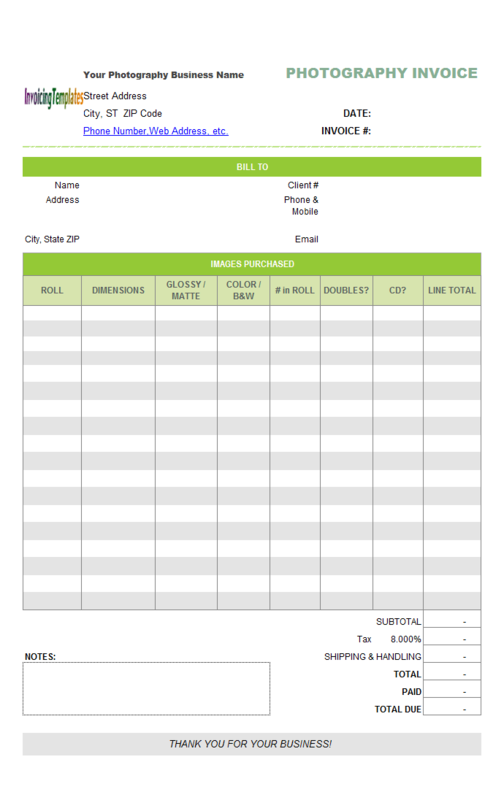 To make sure your sheet works with Invoice Manager for Excel (namely Uniform Invoice Software), follow the rules defined the customizing a template document. 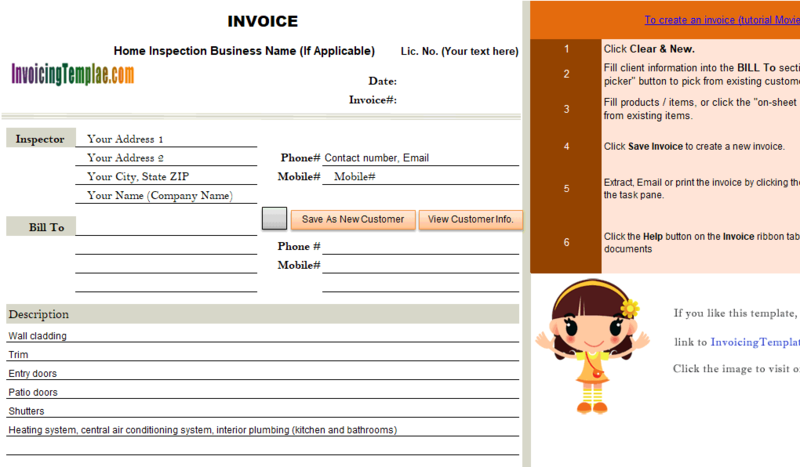 You can also modify the form slightly to create a logo design quote or proposal. 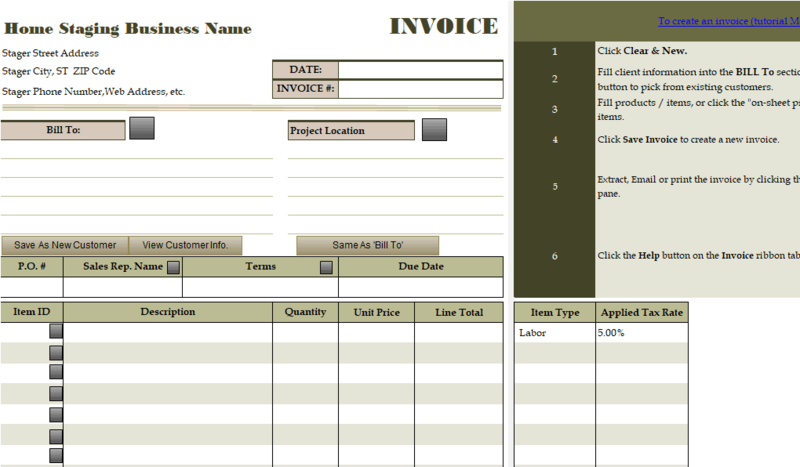 The Excel sheet defines the layout and content of your invoice or bill. It also contains elements that are not printable and are not be included in the PDF invoice generated with Invoice Manager for Excel (namely Uniform Invoice Software). 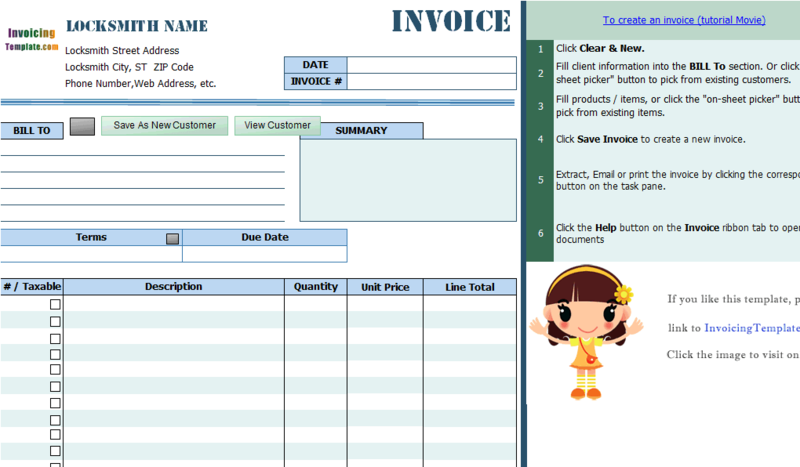 For example, the buttons on the top of the sheet, such as "Customers", "Products" and "Reports" etc., will be removed when you email an invoice to your client. 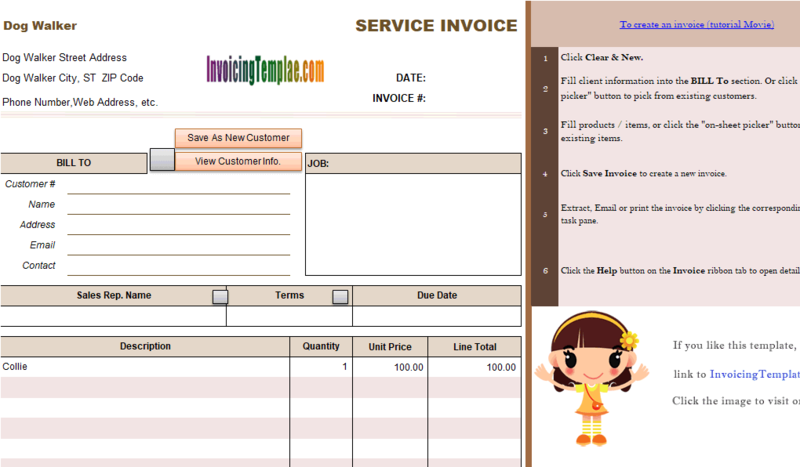 This template is created based on c5018 job invoice template. 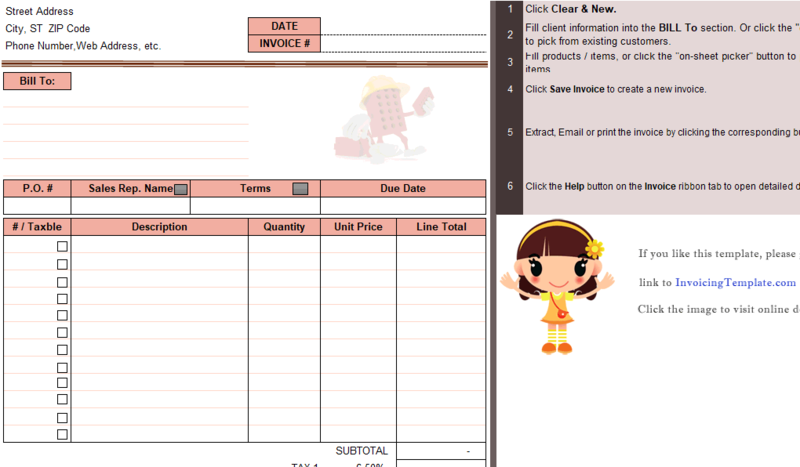 It looks very different when compared to the original one, because we changed the theme of the Excel workbook file. Themes are the easiest way to give a new look and feel to your Excel spreadsheet. If you want to make your document differs from others that use the same template, simply change the theme again. To do this, first you go to Excel "Page Layout" ribbon tab, and then use the commands in the "Themes" group. 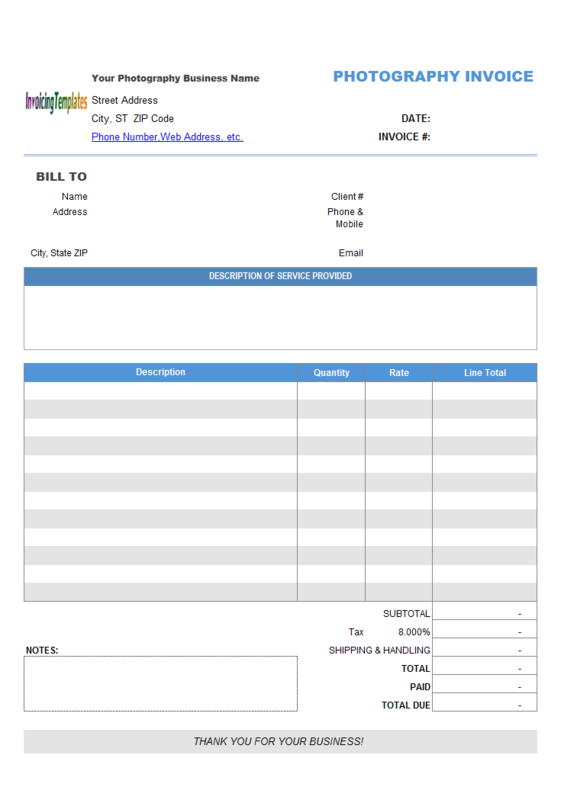 Unlike the original version Job Invoice Template, this new layout shows two taxes, "State Tax" and "Local Tax", on the bottom of the form. 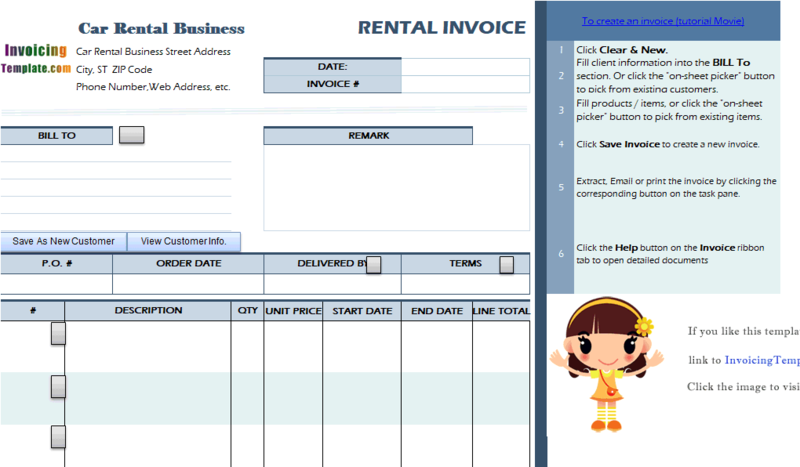 There is also a "Taxable" checkbox columns inside the printable area. 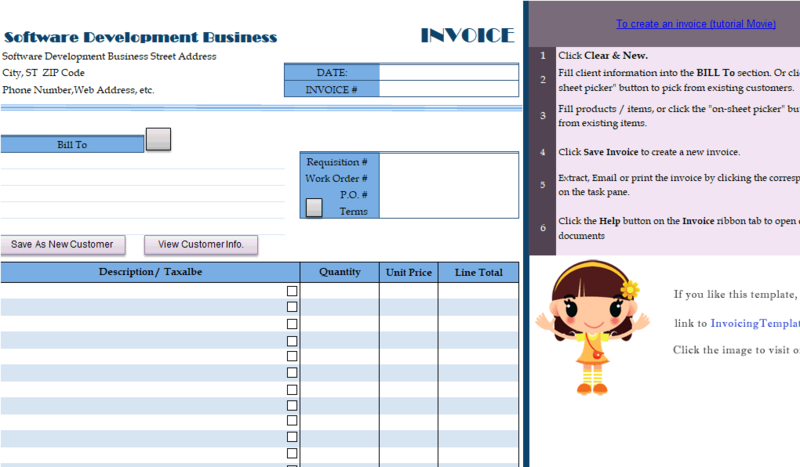 If you don't like this, try the other related templates here on InvoicingTemplate.com. For example c4043 photography invoice sample (general layout) and c8005 photography invoice sample (detail layout), c4044 Itemized Graphic Design Invoice, and c5130 Wedding Photography Invoice. 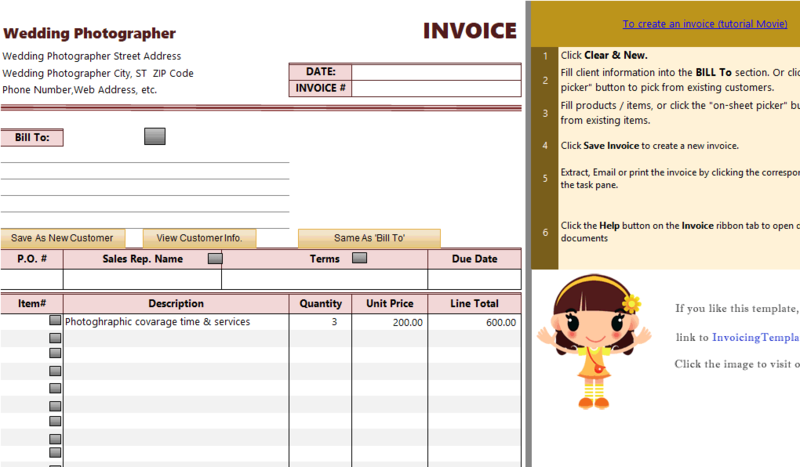 For even more samples try the gallery page at graphic design freelance invoice template and freelance invoice templates. The tax rates of "State Tax" and "Local Tax" are set to 8.00% and 7.00% by default. Again they are placeholders / pseudo rates that you should replace with your locally applied tax names and rates. Visit How do state and local sales taxes work to find out more. 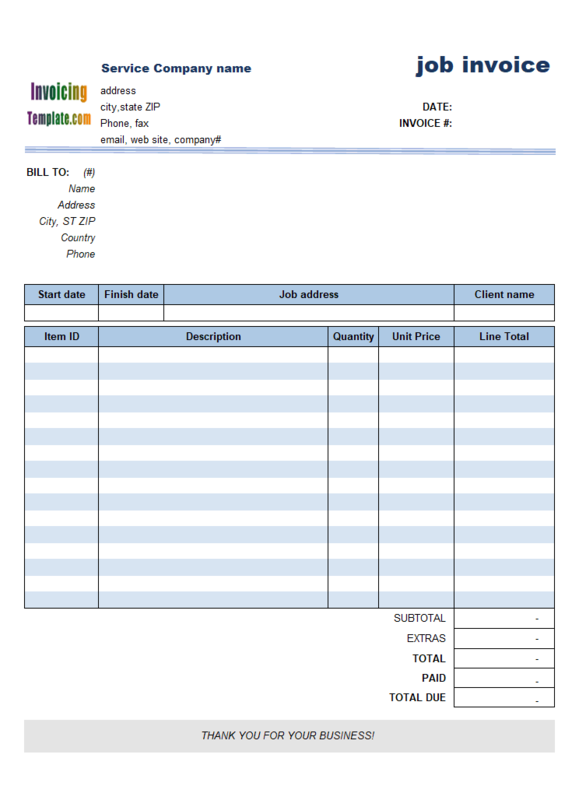 Like other form designs here on InvoicingTemplate.com, Logo Design Bill Format is free (offered to you at a price of 0.00USD). It works on Windows XP and all newer versions of Windows, and Excel 2007, 2010, 2013 or 2016.